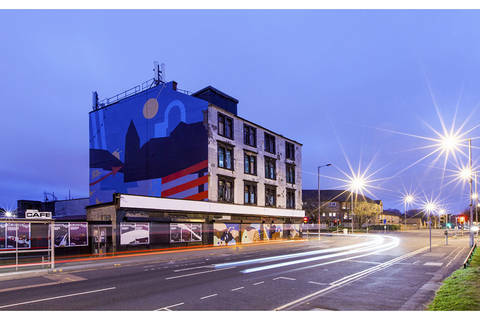 Spring Fling joined forces with Glasgow based street art collective Recoat to produce Spring Fling | Rural Mural (SFRM). SFRM saw a collective of local, Scottish and international artists paint large-scale murals across Dumfries and Galloway for Spring Fling 2014; adorning buildings, shops, vehicles and a few unexpected things too. SFRM combined excellence of art production with cross discipline working between urban street artists and rural studio based visual artists, creating a series of murals, installations and painted vehicles across Dumfries and Galloway for Spring Fling 2014. Through working with Recoat, SFRM enhanced Spring Fling, Scotland’s nationally acclaimed visual art and craft event and gave two ambitious organisations the chance to work together using complimentary skills, knowledge and expertise. 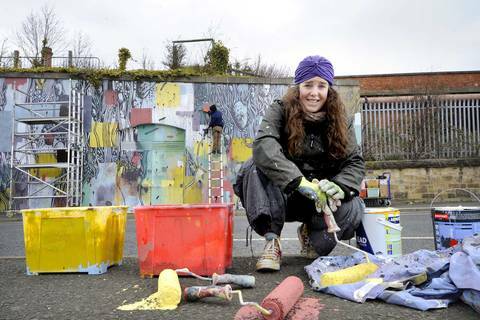 The project engaged with local communities through street art workshops, developed national and international audiences, and encouraged movement around Dumfries and Galloway. 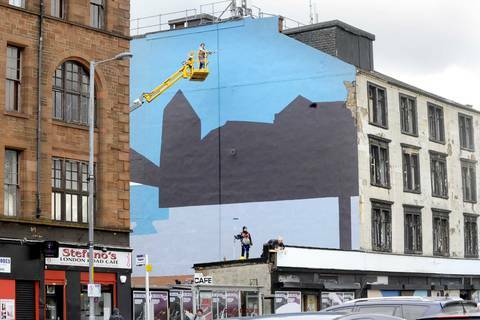 Huge murals appeared on houses, barns and even a disused electricity sub-station across Dumfries and Galloway. 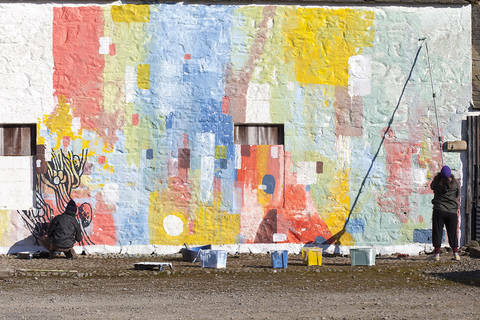 Spring Fling Rural Mural #SFRM Film from Upland on Vimeo. 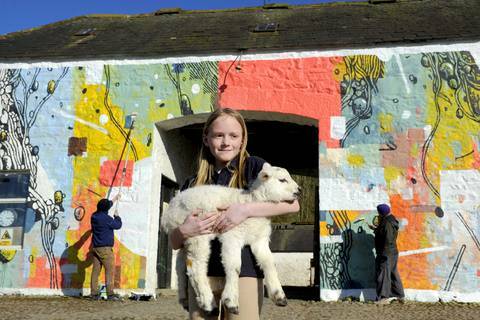 You will still see some of 'Rural Murals' around Dumfries and Galloway today. Some unexpected items were also painted including a boat, a horse's rug and a grain silo. The Spring Fling artists who took part were Alice Francis, Hope London, Katharine Wheeler, Amy Winstanley and Denise Zygadlo. 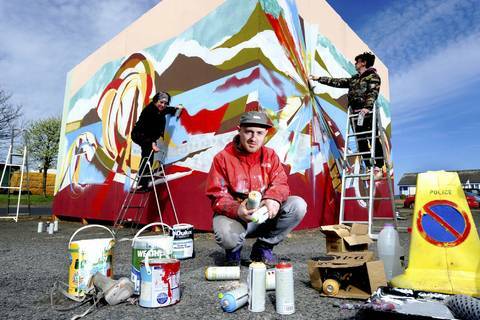 They worked with Recoat artists 1010, Will Barras, FiST, Fraser Gray and Amy Whiten & Ali Wyllie on their murals in the run-up to Spring Fling 2014. SFRM will be back in 2016, watch this space.